The 7th (Princess Royal’s) Dragoon Guards was stationed at Secunderabad (Telangana, India) having arrived there on the 14 October 1910 when Britain declared war on Germany in August 1914. The Regiment had arrived in India from Egypt on 12 October 1910. The 7th Dragoon Guards embarked at Bombay (Mumbai, Maharashtra) on 16 September and disembarked at Marseilles, France on 13 October. The Regiment was part of the Secunderabad Brigade which was initially attached to Indian Corps. On the 23 December 1914, the Secunderabad Cavalry Brigade joined the 2nd Indian Cavalry Division which was renamed the 5th Cavalry Division on 26 November 1916. The 5th Cavalry Division was broken up in February 1918 and on 10 March the Regiment was transferred to 7th Cavalry Brigade, 3rd Cavalry Division in which it served for the remainder of the war. The 7th Dragoon Guards served on the Western Front for the duration of the war. The Regiment returned to Britain from France in March 1919 and was stationed at Norwich. 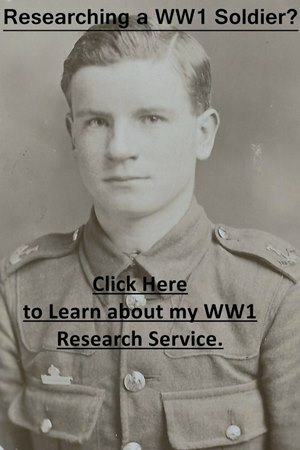 I have a page with dozens of guides to researching soldiers which can be viewed here: British Army during the First World War. The most useful guides will be those concerning service and medal records along with my page of British Army abbreviations and acronyms. The war diaries (discussed below) aren’t great but are still useful to have. I would also recommend downloading the war diaries I have discussed below. The regimental history (see below) contains a roll of honour (only dead no dates) and honours and awards. Officer: British cavalry officers tend to be easier to research when compared to their infantry equivalents. Most came from an aristocratic or upper middle class background, so are often reported on in both local and society papers: Newspaper Reports. A service record is the most important document to find, though many have been lost. Check to see if one is held at the National Archives, I offer a copying service for these files. However, if an officer served past April 1922 then the Ministry of Defence will still hold their service record: Ordering a Service Record from the MOD. Have a look through the Regiment’s war diaries as officers are often mentioned and search the London Gazette and Hart’s Army List (for pre-war officers). The regimental history records the names of officers throughout and also benefits from having an index. 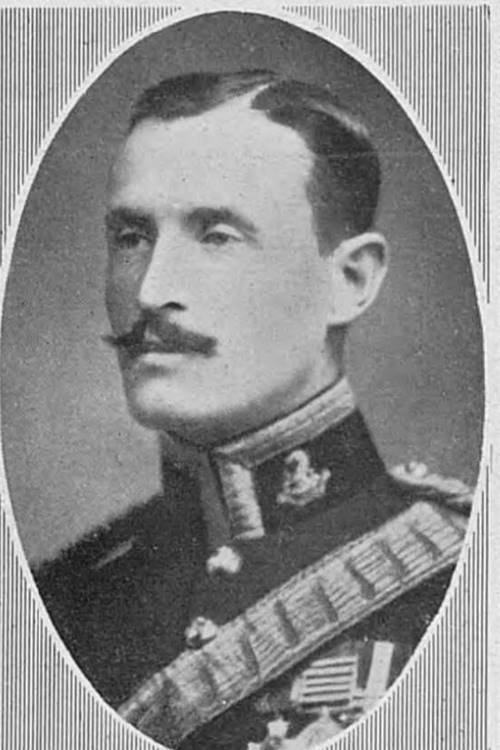 The portrait of Lieutenant-Colonel Henry Anderson Lempriere, 7th Dragoon Guards who was killed in action on 23 December 1914 which was printed in The Sphere. Lempriere was wearing the Distinguished Service Order, Queen’s South Africa Medal and King’s South Africa Medal on his chest. If you are looking for a photograph of an officer killed in action during the war, The Sphere has thousands: Researching Soldiers Using Newspapers. Other ranks: Once again a service record is the key document to find. If a soldier served past January 1921 then their record will still be kept at the Ministry of Defence: Ordering a Service Record from the MOD. If no service record has survived there will at least be Medal Records providing a soldier served outside of Great Britain and Ireland during the war. The regimental history contains a handful of names of other ranks but without regimental number recorded, though there is an index. If you know a soldier’s regimental number you will often be able to work out an approximate enlistment date. Newspapers are a great resource to use, especially if you’re looking for casualties. Whether you’re researching an officer or other rank who served in the First World War, you’ll need to search the records on both FindmyPast and Ancestry. The sites offer free trial periods and if you like in Britain, you can often access them at your local library. Clicking on the banner below will take you to FindmyPast. All the war diaries for the 7th Dragoon Guards have been digitized and are available to download for a small fee from the National Archives’ website. To download the war diaries click on the blue links below. Unfortunately, the war diaries for the 7th Dragoon Guards aren’t very detailed when compared to other cavalry regiments. Notes: An average war diary with no appendices. Notes: An average war diary at best, though there are a few longer entries. No appendices. Notes: An average war diary which also contains a wide variety of appendices including some narratives of operations. I have transcribed the narrative of operations on 8 August 1918 at Cayeux Wood below. There is a regimental history: Records of the Seventh Dragoon Guards (Princess Royal’s) during the Great War by Capt. F. J. Scott which is useful to look through, not particularly detailed. The book was published in 1923 and hasn’t been reprinted since so can be difficult to find. I looked at a copy at the British Library. The book contains an index and has a roll of honour (just dead no further information) and a list of honours and awards. The Imperial War Museum holds a collection of letters sent by Lieutenant Stephen A. Sanford who served with the Regiment. Sandford was serving with the 7th Dragoon Guards on the outbreak of war and transferred to the Royal Flying Corps in May 1915: Documents.16662. The extract below is taken from the war diary on 8 August 1918 which recorded the Regiment’s activities at Cayeux Wood, France. 7th Dragoon Guards. Narrative of Operations – 8 .8. 1918. 10. 0. am. Brigade left position East of Cachy and moved by Cavalry track to Vignacourt, crossed the river and formed up in the valley (D.3.b.8.5.) at about 11.0 am. 11.10. am. The Regiment moved forward with a double Advanced Guard. “A” Squadron on the right in touch with 6th Dragoons. “D” Squadron on the left in touch with “A” Squadron. Both Squadrons moved forward with 2 troops as Advanced Troops and 2 Troops in close support. Headquarters, “C” Squadron and 1 Sub-Section M.G. Squadron followed in rear of Squadrons on the dividing line between Squadrons. Objective: South East end of Cayeux Wood inclusive to and excluding Cayeux Village. The Advance: “A” Squadron advances via Square Wood (D. 11. a & c.) which was cleared with little opposition – they then galloped the Angular Copse in valley (D.17.b) and 2 small copses in (W.17 central) killing some Germans and taking 1 officer, 24 other ranks prisoners and capturing 2 heavy long guns and 4 M.G’s. Meeting with heavy M.G. fire from South and South East they then occupied the E and S.E. side of the Angle Wood, dismounted. At the same time “D” Squadron advanced on the left of “A” Squadron and galloped the South West end of Cayeux Wood (D.12.d) coming under heavy M.G. fire from the South, capturing 6 M.G.’s (3 of which were found later on, out in the open) and 14 prisoners – a later search revealed a Battery in the Wood which had been abandoned. The Squadron left a party to collect the prisoners and wheeled Northwards through the Cayeux Wood. The action of “A” Squadron on the right forced a good number of Germans to retire across Square D.18.a.b. Seeing this the Officer Commanding, 7th Dragoon Guards ordered Lieutenant Dawkins and the Regimental Scouts to charge them, closely supported by 1 Troop “C” Squadron under 2/Lieutenant Jardine and Captain Shrubb (O.C. “C” Squadron). 12 Noon: The Regimental Scouts got amongst the retreating enemy and captured 1 prisoner. Captain Shrubb and leading troop of “C” Squadron reached a position about (D.18.a) facing South – Having had nearly all their horses shot they got a Hotchkiss Rifles into action and formed a defensive flank, thereby greatly assisting the forward move through the Cayeux Wood. The right troop of “C” Squadron only reached position on the crest of the hill about (D.11.d.6.4.). The 2 supporting troops of “C” Squadron rallied about D.12 central and pushed patrols and Hotchkiss Rifles through to the E edge of Cayeux Wood. 12.20 pm: Captain Turner’s Squadron, 17th Lancers came up and asked situation and he was told, and it was suggested to him to push on East of the Wood with his left on the Cayeux-Caix road, as there seemed to be little opposition there. 12.30 pm: There still being M.G. fire into the South edge of the Cayeux Wood, Officer Commanding 7th Dragoon Guards formed a defensive flank with 1 troop, “A” Squadron and 2 troops “D” Squadron and Sub-Section of M.G.’s. Fighting Strength – Morning of 8.8.1918. Excluding “A” & “B” Echelons: Officers 21. Other Ranks 382. Horses. 458. Casualties: 9 officers wounded, 1 remained at duty. 4 other ranks killed, 32 wounded, 1 missing believed killed. 29 horses killed, 22 wounded and 37 missing.